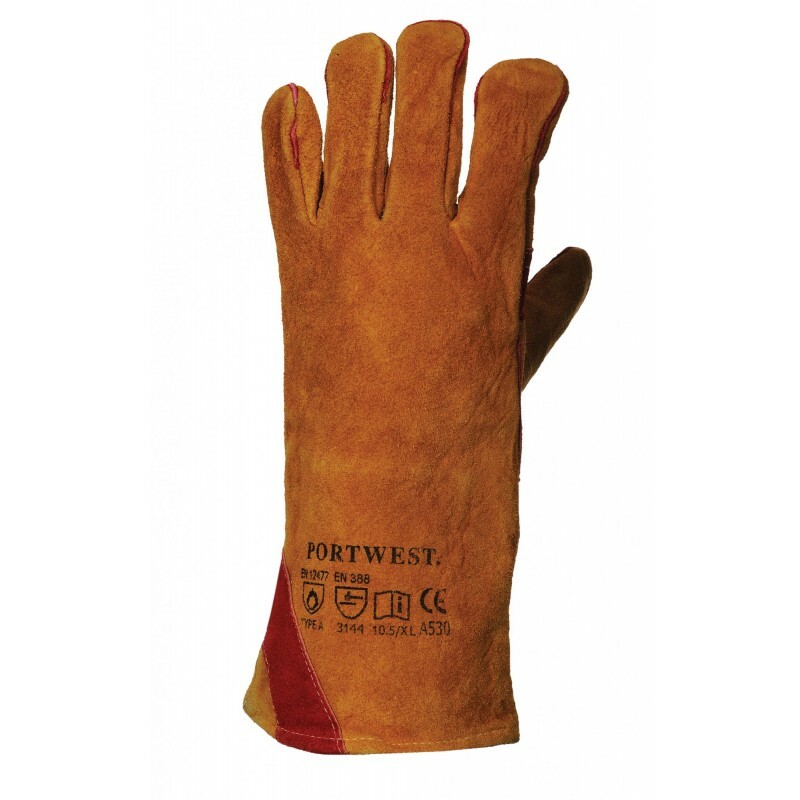 Premium quality leather welding gauntlet with reinforced palm and thumb area for additional protection. Fully welted and sewn with DuPont™ Kevlar® throughout. Dimensions are 24" x 14" x 16"